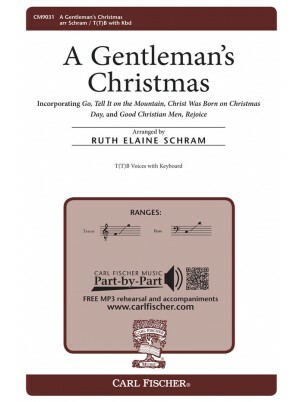 A collection of a cappella and accompanied Christmas sheet music arrangements for 2 parts. "Believe" - The sweetness and innocence of a child's view of Christmas are fully evident in this warm ballad by superstar Josh Groban. Rising to number one on the charts, it was featured in The Polar Express. "Step into Christmas" - This Yuletide favorite from Elton John has become a holiday highlight with its infectious hook and cheerful lyrics. A perfect addition to your Christmas programming. "As Long As There's Christmas" - From the Disney animated video Beauty and the Beast - The Enchanted Christmas comes this charming Christmas treasure. Adapt the core repertoire of the season to match your resources and available rehearsal time. 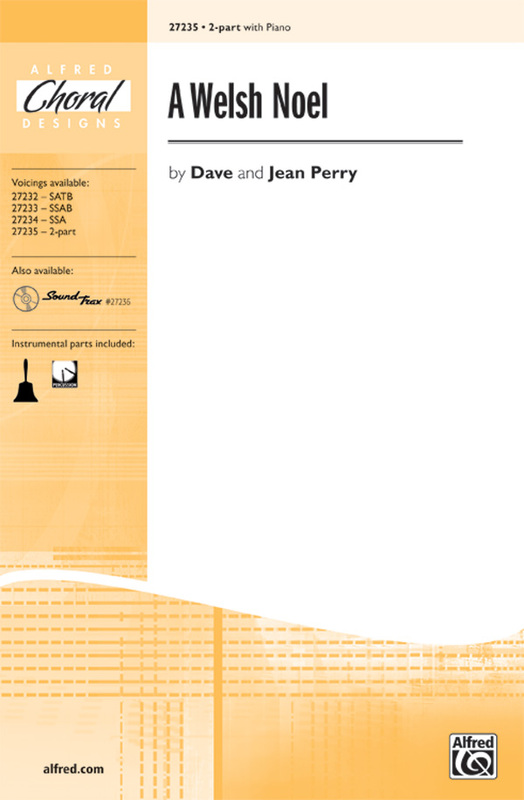 Contains unison, 2/3 equal, 2/3/4 mixed voice, accompanied and a cappella arrangements of the classics - pick the version that suits your needs or create varied arrangements by choosing stanzas from various settings. Lots of fun here for young singers and audiences alike. A delightful arrangement of the child's poem Santa Claus, Santa Claus (You are Much Too Fat) is bound to amuse as will the turkey's lament "Beware at Christmas." Everyone can appreciate how hectic the holidays can be! Marti Lantz and Lois Brownsey capture the craziness in the delightful choral "Deck the Halls with Craziness." The fast-paced lyrics are set to a fun original tune that partners with "Deck the Halls." Novelty at its best! Walt Disney's Mickey's Christmas Carol brings us this joyful seasonal salute. 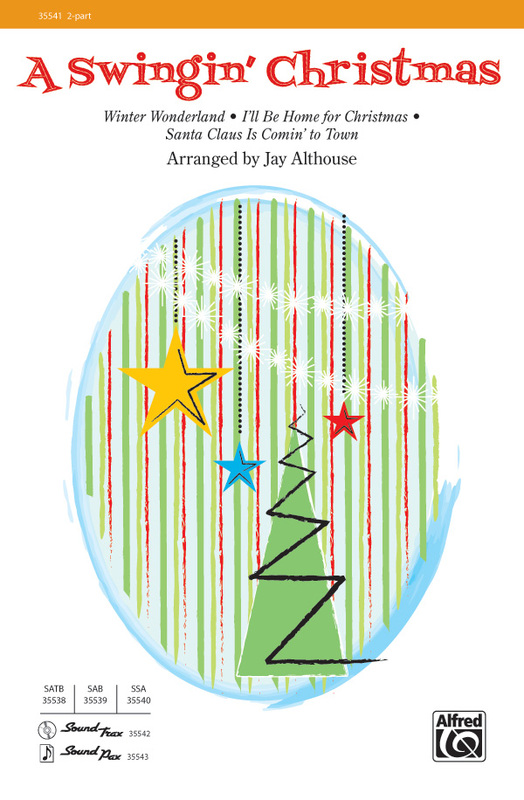 From bells ringing to frosted window panes, this song is easily-learned and will put everyone in the holiday spirit! Add a multi-cultural element to your Christmas concerts and celebrate the Navidad season. The Mexican tradition of ""La Fiesta de la Posada"" recreates the search for a room at an inn. This delightful number by Sally Albrecht recreates that tradition in song with an English text that tells the story ("when we light luminarias and swing at the pinata."). Features an optional solo/duet in each verse. "Cantemos" is a beautiful, rhythmic Venezuelan folk carol with an English/Spanish text. 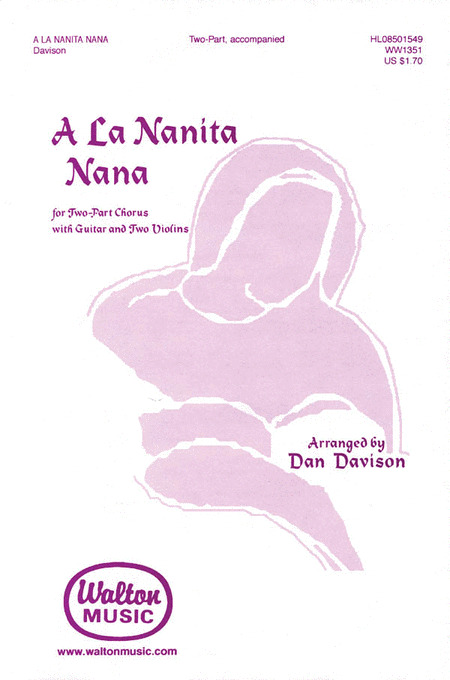 "Vamos todos a Belen" - A detailed translation/pronunciation guide makes it easy to master the Spanish text of this traditional Mexican-American Christmas song, or perform it in English. Lilting six-eight piano creates a gentle rocking motion as we sing about going to Bethlehem to see the baby. In the middle, a solo is briefly accompanied by only the chorus before a thrilling modulation and final flourish to the glorious end. Share the rich culture of a Spanish Christmas with your students. These charming Spanish folk carols will bring joy to every performance. From a variety of cultures these creatively arranged songs will add a multi-cultural element to your concert and will be appreciated by the Spanish speakers in your audiences. Perform them in Spanish, English, or a combination of both. Displaying 1-50 of 489 items. This well-crafted setting for younger and developing choirs extends a heartfelt wish to cherish the special times, offering a perfect way to close any holiday program. And we'll all join hands and remember this moment, 'til the season comes 'round again. Its still a Cool Yule with an updated twist on the holidays! Santa emcees this North Pole Spectacular with Five Elves on a Shelf, Lana del Holly, Fa La So Cool Gang, the Reindeer Sisters and more straight off the Cool 100. This 12-minute medley for all ages with choreography by John Jacobson includes: All I Want for Christmas Is You, Christmas (Baby Please Come Home), Cool Yule, Jingle Bell Twist, The Most Wonderful Time of the Year, Santa Baby, Santa Claus Is Comin' to Town, (Turn It) Up on the Housetop. Hang on! This is not a ballad! Instead, this choral is a more up-beat arrangement with an original Greg Gilpin partner-song. How unique and fun for this familiar favorite! Greg has carefully arranged the rhythms of Home for the Holidays to be easily learned and sung for young voices and the partner-song simply enhances the work. A perfect blend of new and old. These delightful Gaelic-flavored settings, including The Wexford Carol and Suo Gan, are fresh, airy and unique. Instrumentation includes optional Celtic instruments which can be effectively performed on recorder, violin, guitar and bass. Available: SATB, SAB, 2-Part, Instrumental Pak, ShowTrax CD. Performance Time: Approx. 3:20. A sparkling medley of three German carols for choir and optional orchestra. Includes: Kling, Glöckchen; Oh How Joyfully; Still, Still, Still. German and English lyrics. Available: SATB, 2-Part, Instrumental Pak, ShowTrax CD. Performance Time: Approx. 4:00. Music and Memories of the Season. Script and staging by John Jacobson. Pull out your holiday photo album and remember Christmas past. This choral revue is a heart-warming celebration of all the joy the season can bring. Sections include: Opening, An Old Fashioned Christmas, Home for Christmas, A North Polaroid, A Family Portrait, Reprise. 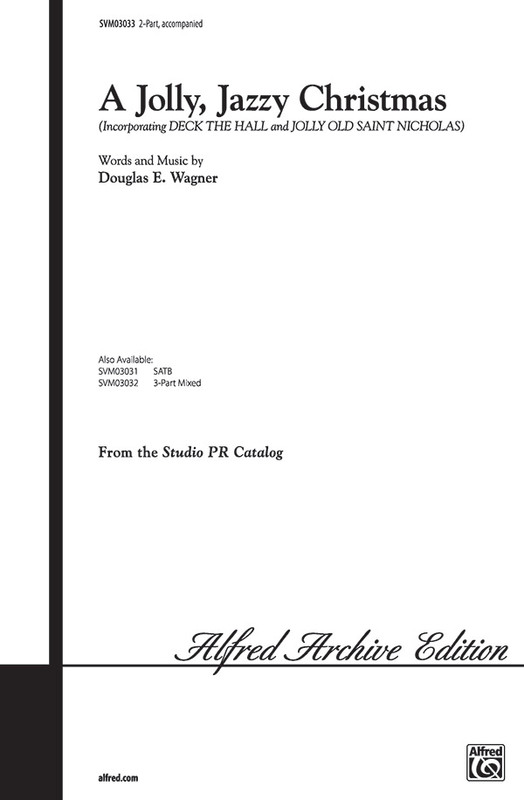 Available: SATB Director's Score, SAB Director's Score, 2-Part Director's Score, SATB Singer's Edition, SAB Singer's Edition, 2-Part Singer's Edition, Director's Kit, Preview Cassette, ShowTrax Cassette, ShowTrax CD. Performance Time: Approx. 30:00. Four Christmas favorites combine to create a sparkling showcase for holiday programs. Perform with piano alone, or with concert band and strings for a fabulous concert finale! Includes: Deck the Hall, Ding Dong! Merrily on High!, I Saw Three Ships, We Wish You a Merry Christmas. Level 2. Available separately: 2-Part, 3-Part Mixed, VoiceTrax CD, Concert Band Accompaniment and String Pak. Performance Time: Approx. 4:15. The rhythmic energy and hip groove of this creative-programming original absolutely sizzle with fun and festive flair! The modal flavor of the opening chorus features slight hints of the familiar "Fa la la" strains from "Deck the Hall." A delightful middle section in major mode contrasts with the minor feel, and the concluding chorus culminates with a resoundingly joyful statement of the concluding phrases of "Deck the Hall"--with an unusual twist, of course! Joyous "noels" resound in this bright, festive holiday celebration from gifted composer Victor Johnson. Contrasting legato sections add to the musical interest and help to spell success in this excellent programming choice for young and developing choirs. Audiences young and old will delight in this well-crafted, jolly montage of Christmas pop standards that is written with ample unison passages to allow for choreography. Editions for multiple voicings are compatible to allow all of your choirs and bands to perform together in a joyous, rousing program opener or finale. Likewise, the grade 2 concert band arrangement may be performed with or without the choir. What a fun song to add to your holiday program! This Johnny Marks favorite and made popular by Burl Ives will add sparkle, fun and maybe a bit of humor when adding the optional kazoos, all in a hip 50's style that invites choreography. This concise arrangement seamlessly strings together six carol favorites, featuring various twists on meter and style while maintaining accessibility. It is perfect as a festive opener or closer that audiences and singers will love. A charming setting of a traditional Spanish carol will provide a tender, lyrical moment in your concert. 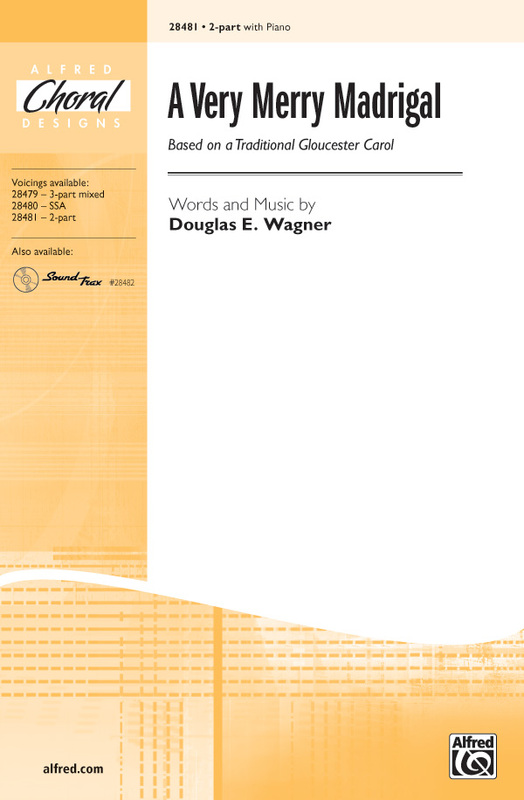 Very accessible, this work is an excellent selection for younger or developing choirs. 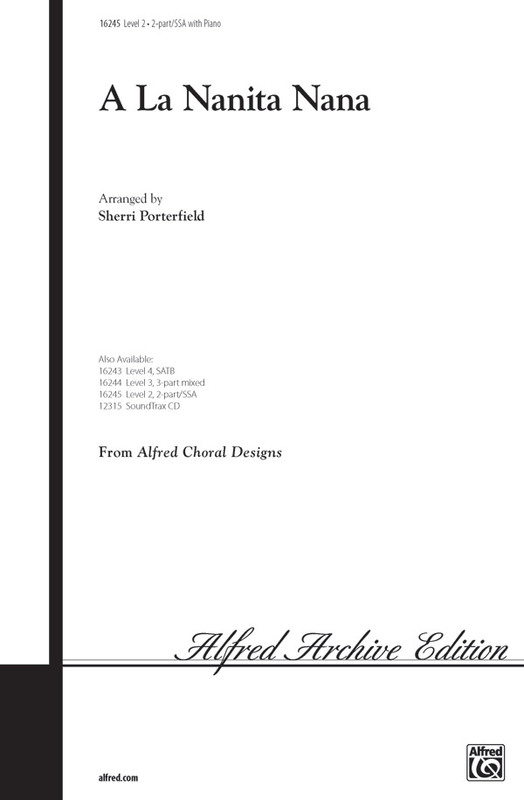 Available separately: SATB, 3-Part Mixed, 2-Part. Duration: ca. 2:20. This is a joyful, easy-to-prepare medley of six favorite and familiar holiday songs - Deck the Hall; Go Tell It on the Mountain; Angels We Have Heard on High; The First Noel; The Holly and the Ivy; Joy to the World. Greg Gilpin has created a medley with lots of dynamics and musical diversity, crafting it so that it is seamless and smart. Beginning and ending with an original vocal fanfare, this medley will fill that special place in your holiday program. Available separately: SATB, SAB, 2-part, StudioTrax CD. Douglas E Wagner : A Merry, Merry Christmas to You! Sing good wishes to all in this festive offering that creatively incorporates the familiar "We Wish You a Merry Christmas." Accessible ranges and straightforward counterpoint make this seasonal winner from Douglas Wagner a snap to learn and a joy to perform. This delightful setting of three traditional folksongs reflects the joy of the holiday season in the midst of the cold, dark Scandinavian winter. The carols would be sung on Christmas Eve, when stars twinkle brightly in the sky and families and friends join hands and dance around the Christmas tree! An excellent addition to multicultural programs! Songs include two from Norway: Jeg er Så Glad, O Jul med din Glede, and one from Denmark: Deilig er den Himmel Blå. Opt. English lyrics also included. Duration: ca. 3:30. Peace on earth and peace within are the themes of this popular Swedish Christmas song, arranged here with English lyrics and flute obbligato. Easily-learned in a minimum of rehearsal, this selection will showcase young choirs at their best.